Imbedded in the chaff is some good wheat. It takes the right process or person to get to it. In recent years much attention has been given to Alternative Medicine. There are a few good things out there, but most of what is promoted is chaff, not wheat. Sorting this is made difficult by the amount of material on various herbal, homeopathic and alternative products. Even the term “Alternative” is stretched at time to include traditional practices. There is almost always one family member who swears by them. 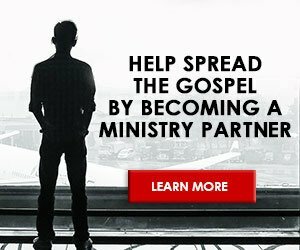 I have come across “Christian” radio stations that have had several alternative speakers. Unfortunately, as long as these people buy commercial time. they will escape being filtered out. I called one station to let them know that one routine speaker was giving out dangerous advice. They responded that several people had given them testimonies to let them know how much he had helped them. My replay was that even Mormons and Jehovah Witnesses have testimonies. We worship God in Spirit and in Truth. Thus any testimony needs to accompany truth. Other buzz words for these types of treatments are “Complementary” and “Nutritional” therapies. Much of the attention given to Alternative Medicine is profit driven. Supplements can be sold over the counter without the scrutiny of the FDA. Thus there are not product research and development costs. This translates into quick profits. I have been approached to sell products for Rexall Drugs. Depending on how much effort is put into it, several thousand dollars a month can be made. In a world of decreasing payments for insurers, this can be appealing to some physicians who have seen their incomes drop markedly. The AMA has made an official statement to try to discourage MD’s from selling vitamin type products in their offices. Another major concern is the arena of drug interactions. As these products are generally not put through studies, it is one big unknown. It is amazing to see how many vitamin products can be bought at the grocery store these days. Sometimes more than one row of shelf space exists for vitamin C alone. There is hardly any research to back up the use of extra vitamin C. Dr. Linus Pauling tried for years to prove benefit with it but was never able to prove his theories. Recent insights have linked accelerated atherosclerosis with use of vitamin C supplements. Also in another recent journal it has been linked to causing oxidants in smokers, thus acting the opposite of its desired effect. Vitamin A (beta-caotene) is the worst supplement to use. It has been associated with a two fold increase in heart attacks, and up to a three-fold increase in cancers. The excitement over vitamin E has also been over rated. Large studies do not demonstrate any cardiac significant benefit. But not all is lost here. Multiple studies do show that eating three vegetables and two fruits daily can lower cardiovascular risk as well as cancer risk. That is as natural as it gets. Vitamin pushers will sometimes say that with the current use of fertilizer, foods do not have as many vitamins as they have previously. That simply is not true. A healthy diet can reduce your chance of cancer and MI’s, a vitamin pill cannot. While the term antioxidant sounds good, we really do not have a proven one. Now large doses of niacin can get cholesterol down. But this is associated with marked flushing. It is not user friendly. Only do this with specific instructions from a MD. It also requires following up as in increase in glucose can occur. Some over the counter products have been associated with a drug induced hepatitis. This is a good example that anything which has good effects also has side effects. Thus, if something says “no side effects,” it also means no effects. It is possible to get side effects from excessive water intake, something occasionally seen in the elderly. Also their is a small subset of people who can benefit from folic acid and B vitamins, but this is for the rare person who has an elevated homocysteine level. Chelation therapy has been advertised for decades as a treatment for the removal of plaque from arteries. It has been around since the 1950’s for the treatment of heavy metal poisoning. Some proponents, then as now, state that it can remove plaque from all over the body. Thus they claim it can eliminate the need for angioplasty (balloon procedure) or bypass surgery. Studies done in the US and abroad have never been able to demonstrate benefit using angiography (dye in an artery to measure the amount of plaque). Proponents of this state that they have studies with thousands of patients, but none of these were controlled studies. Thus patients who do not come back are not counted. The most common agent used for this in called EDTA. It is usually mixed with minerals and vitamins and given through an IV. The format is usually 20 or more visits with the IV injections. Each treatment generally costs 75-100 and may be given over two or more months. With this cost it is generally more than what Medicare actually pays a heart surgeon to do bypass surgery. The American Heart Association and the Mayo Clinic have position statements stating that chelation therapy has no proven role in treating atherosclerosis (plaque disease in arteries). The American College for the Advancement of Medicine (an alternative medicine organization) has been told that if it advertises chealtion for the treatment of atherosclerosis it will receive a fine from the Federal Trade Commission. There are several case reports linking EDTA with causing kidney failure. Thus it is not an entirely benign therapy. Like a cult, these false statements give people false hope. It is hard to believe that in this day there are proponents of coffee enemas. But with catchy statements like “death begins in the colon,” these people are ready to serve. Claims are made that it can detoxify the liver. Never has there been any type of proof to back this up. The stomach is much closer to the liver than the colon, thus drinking coffee should be more effective. As caffeine is a stimulant, it does have a stronger stimulating effect on the colon than a plain water enema. But other than this, it is just coffee down another drain. Things out there with some established benefit include high dose niacin for cholesterol, saw palmetto for an enlarged prostate and glucosamine sulfate for arthritis. The evidence for saw palmetto and glucosamine sulfate is very weak. In the Journal of the American Medical Association (April 18, 2001), a study of the effectiveness of St. John’s Wort reveals it is not effective for major depression. The same article also reviews two dozen earlier studies pointing out significant flaws in the studies themselves. Thus if you are on a prescription medicine for depression, do not change to St. John’s Wort. Also, because of a fear of making high blood pressure worse, people taking this are generally not accepted into high blood pressure studies. But there were also false prophets among the people, just as there will be false teachers among you. They will secretly introduce destructive heresies, even denying the sovereign Lord who bought them–bringing swift destruction on themselves. 2 Many will follow their shameful ways and will bring the way of truth into disrepute. 3 In their greed these teachers will exploit you with stories they have made up. Their condemnation has long been hanging over them, and their destruction has not been sleeping.